January 23 kicks off the Chinese Lunar New Year celebration – the Year of the Black Dragon (aka Year of the Dragon, Year of the Black Water Dragon, Year of the Water Dragon). Whatever name you give it, it is still the Year of the Dragon. I’m particularly thrilled because my birthday falls smack dab in the middle of the celebration which ends on February 2 (Chinese year begins on February 3). For me this means double the gifts, double the celebration, and double the fun. 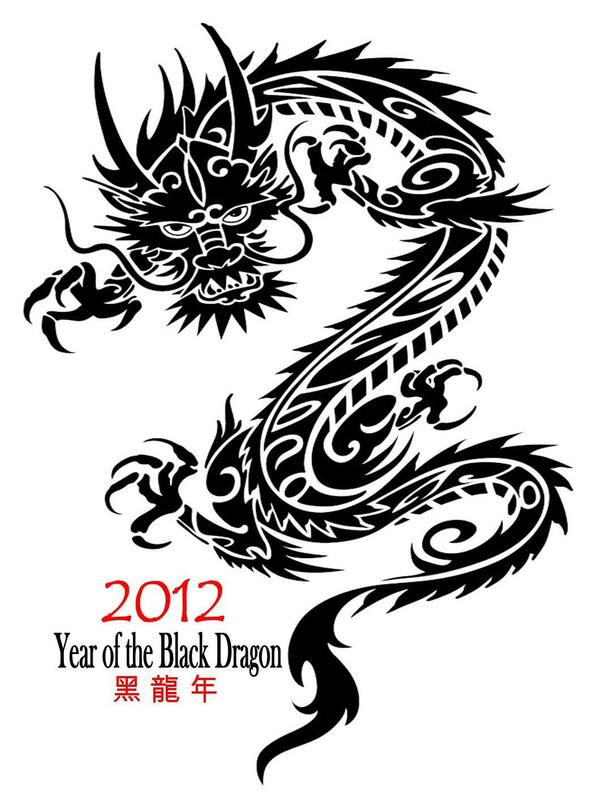 Why am I so thrilled about the Year of the Black Dragon? For starters, it is purported to be a year of luck, prosperity, and good things and if all that I’ve read is correct, then this will be a year of changes and moving forward for me. For one, I’m in the midst of the awful flu. Yes, I know, it sounds a lot like rejoicing but I’m not, really. My take on being sick now is that I might not duplicate this dreadful feeling for the rest of the year and this intention will go into my 2012 intention bag. This year is dedicated to water which calms the Dragon’s fire. It is said that Water Dragons are able to see things from other points of view, don’t have the need to always be right, and their well -researched decisions are usually better since they allow other’s to become involved. That description has change written all over it. Yesterday I was able to read my horoscope for this year and I was right, it is a year chockfull of change and prosperity if I play my cards right. I can’t remember a time when I’ve been as excited as I am now. The future is unexpected but I’m going with my intentions to work hard, seek out new opportunities, and be open to change. What is your intention for this new year? This entry was posted in Midnight Hour and tagged Chinese New Year, Year of Dragon. Bookmark the permalink. My intentions are to simplify my life, slow down and just deal with the important stuff. In case I don’t hear from you before your birthday, Happy B-Day and Happy New Years!